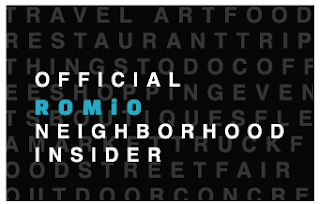 I am so thrilled to let you know that I have become a Romio Neighborhood Insider! I was contacted by Romio to see if I would be interested. 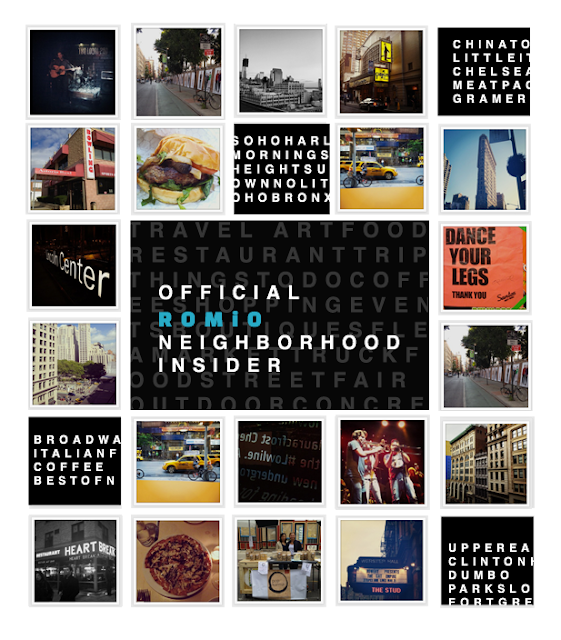 Their site is an amazing way to ask questions based on all the wonderful neighborhoods in New York City by some of the best bloggers. The site will also be partnering with DNA Info New York which is one of my go-to sites for NYC news in all boroughs. Click this photo above, and please follow me on Romio You can ask questions of myself, or any of the other amazing bloggers out there, of places to see and cuisine to enjoy in the Big Apple !! Thank you again to Romio for choosing me to be a part of your site and I look forward to the great future it has in store for 2013.
very cool ... you are an official ambassadoress of nyc!